Looking Natural Is Just As Important To Us As It Is To You. Schedule your free Kybella consultation in NYC today for eliminating a double chin. 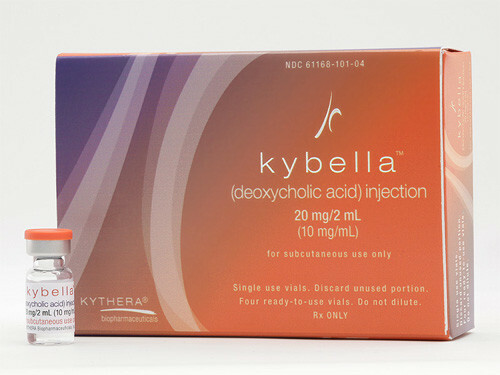 Kybella (deoxycholic acid) injection is indicated for improvement in the appearance of moderate to severe convexity or fullness associated with submental fat in adults. What is Kybella? How Does It Work? Learn more about Kybella injection treatments in NYC to treat a double chin and get rid of fat on the upper neck. Please call Lucy Peters at (212) 486-9740. You may also use our contact form to receive additional information about our Kybella. Our office is conveniently located near 150 East 58th St. New York, NY 10155.